The first time I wore makeup I think I was about 13/14 (we are talking about 5 years ago now!) 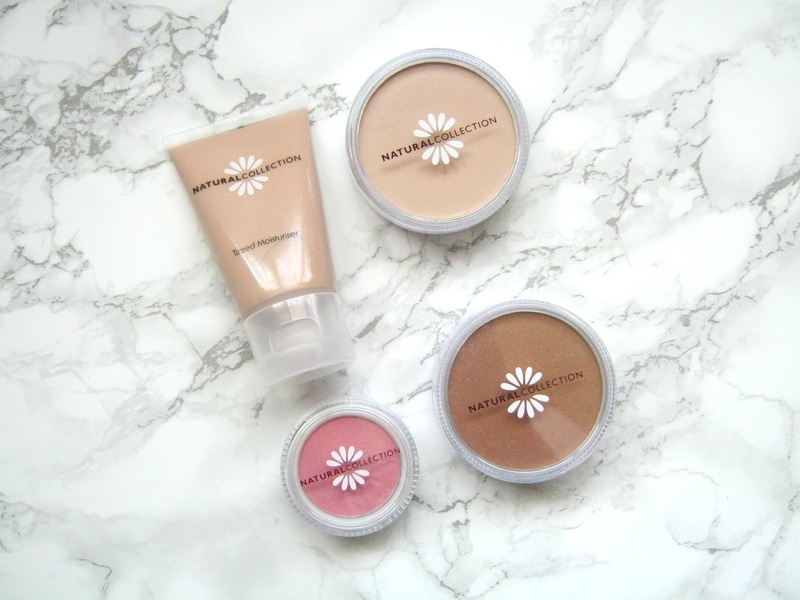 and the first brand that I ever tried was probably the most budget one on the highstreet at the time, Natural Collection. I remember being in Boots with my Mum and going on and on at her about wanting to try makeup, she finally gave in and I chose one of their tinted moisturisers. At only £1.99 I think my Mum was happy to just shut me up but that is where my love for makeup started and the reason I stumbled across the blogging community online nearly 5 years ago. 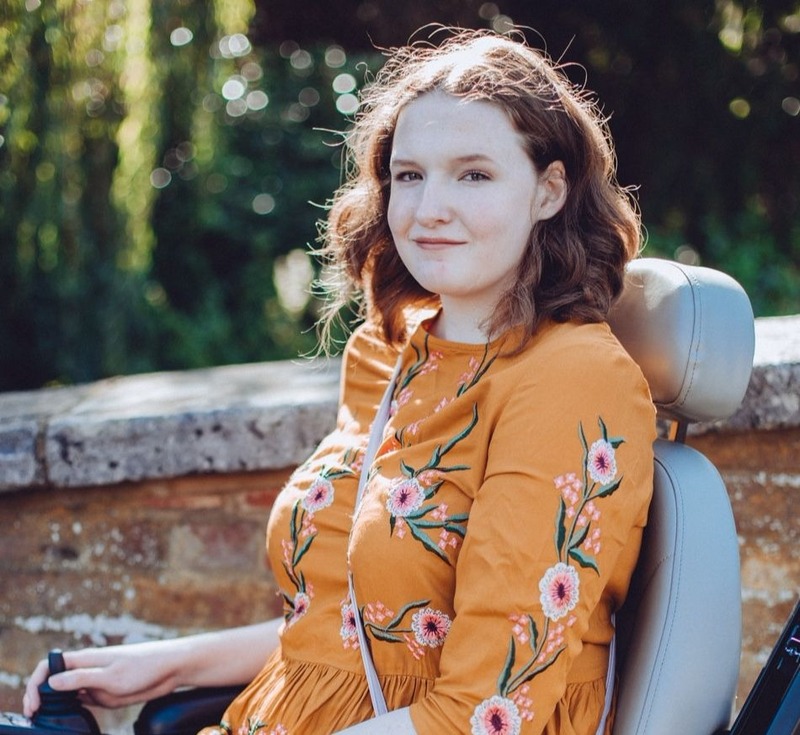 Things have progressed a lot since then but I still love highstreet brands and there are a few Natural Collection products that I will always love so today I thought I'd revisit them! There might be brands out there now that sell products even cheaper but in my opinion they are still one of the best budget brands for some products and perfect for teens starting out with makeup. As I said the Tinted Moisturiser was the first product I tried from them and despite it being a little too dark for my skin I really enjoyed using it. Unfortunately the one I've got here is definitely not my shade but I remember the product feeling really lightweight on my skin and it was super easy to blend, a good combination for a young teenager starting to explore makeup! 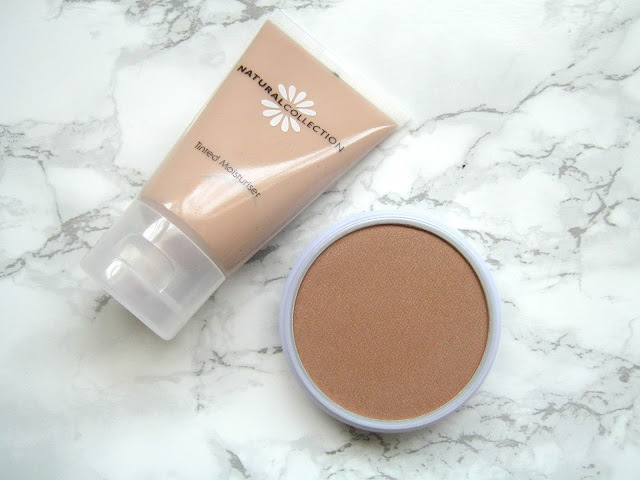 The SunTint Bronzing Powder in Golden Glow also proved to be too dark for my pale skin but I've seen they do have a slightly lighter shade so I might give that a go as the pigmentation of this really impressed me. If you're skin is darker than mine or you've got a summer tan then Golden Glow could really work well for you to make your skin look glowing and bronzed. I've also tried both these two products before, I'm pretty sure Natural Collection was probably my favourite brand for quite a while when I first started wearing makeup. 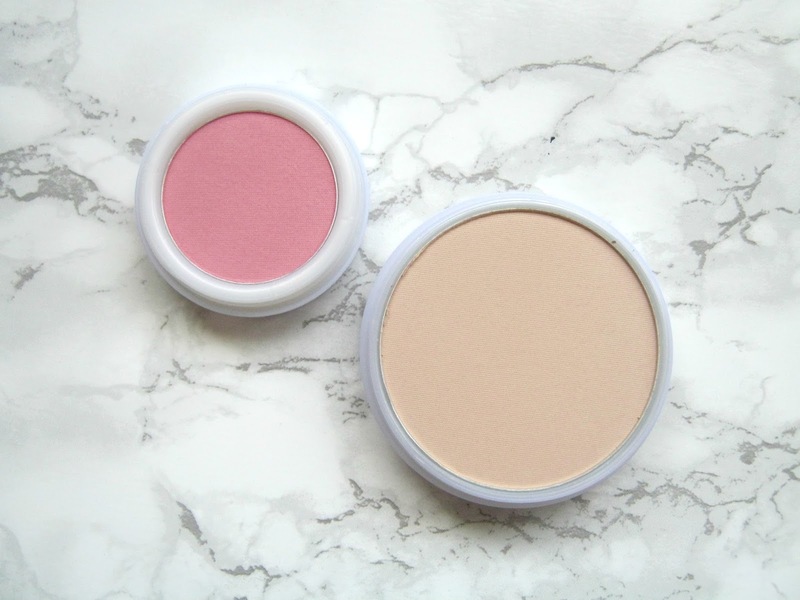 The Blushed Cheeks Blusher in Pink Cloud was and still is one of my favourite blushers, my one is probably a bit out of date by now so I'm super happy to have a new one to take its place. It's pigmented but not overpowering and it basically taught me how to apply blusher back when I was about 14 but nearly 5 years on I still love and use it. I have quite fair skin so it's easy to apply too much blusher so this works perfectly for me and I'd really recommend the shade Peach Melba as well! The Pressed Powder was also a product that I used to use a lot, in fact I've only really used two powders consistently, this one and a Rimmel one. I used to use the shade Cool and this is in the shade Warm but I've found I can actually get away with it! It helps keep my makeup in place, doesn't feel heavy or cakey on my skin and just like the blusher it really is a bargain. All these products only cost £1.99 and using these 4 together would help you to create the perfect summer glow (with some additional highlighter!). I'd recommend Natural Collection to both young teens trying makeup out for the first time but also products like the blushers and pressed powders are a great budget option for anyone. Next time I'm in Boots I'll definitely be having a look at the stand, I also used to love their lipsticks so I might revisit them! These products were sent to me for review purposes but this does not change or influence my opinion and I am always 100% honest. I love the simple packaging! Natural Collection was the first makeup brand I ever used when I started wearing makeup other than stage stuff. I remember the week before I started secondary school (we're talking almost ten years ago now) I went to the Natural Collection stand in Boots and my mum treated me to a mascara, a clear lip gloss, a powder and a stick concealer. I can't believe that the products haven't really changed since, but it's so nostalgic for a lot of people. I still love their blushers and own a couple of them that I use on a fairly regular basis! I love Sugar Plum and Dusky Pink.